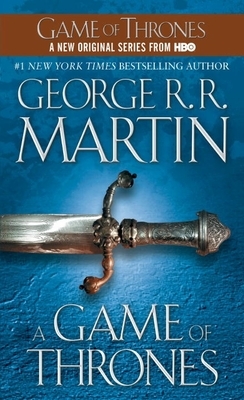 I am having trouble sticking to my 100 page per week goal in order to finish reading A Game of Thrones by mid-August. I can’t put the book down. I’m like 600 pages in and I know that I’m going to finish it soon. Part of me says that I should slow down and savor the reading experience. I should be making notes about my thoughts as I read. I should be looking for writing devices and topics to discuss when the book club meets. I’ll give you one guess as to which part I am listening to. Maybe I’ll have time to read it a second time before we meet and I’ll make good on my intentions. So for those of you who wanted to join the book club but were scared off by the amount of reading there is to be done, rest easy. It is a fast read, and addictive. Also, I’m pretty sure that we’ve decided on a location for the book club to meet. Date and time have yet to be determined. It’ll depend on what the new baby will allow (she’s due in less than 3 weeks now). It started in my senior year of high school. Graduation was approaching, which meant that open houses would be starting soon. I decided that as graduation gifts for my friends I would give t-shirts with a picture of my face and the words “I love Josh Mosey” proudly displayed. I wouldn’t want any of them to forget me after all. Well, my friend Julie spent the summer after graduation working at Clark Canyon Bible Camp in Dillon, Montana (great camp, by the way). Since it was a great shirt for every occasion, she brought it and wore it regularly. When another camp staffer started borrowing the t-shirt, the camp nurse took note. But when my friend Kristy, who also got the t-shirt as a graduation gift, came out to visit Julie, bringing along her own t-shirt, the camp nurse thought that a trend was emerging. One year after Julie went out to Clark Canyon, I went myself. I was pursuing a degree in Recreation from Western Michigan University and I needed an internship in order to graduate. So I contacted the camp director, Dale, told him who I was (a friend of Julie’s and the guy from the t-shirt) and he invited me to come out and be the assistant director for the summer. He had never for had an assistant director and said that it sounded like fun. Mine was no where near this cool. I packed up my newly fixed 1980’s Chevy Blazer and drove three or four days across the country. I learned a fresh hatred for the length of Nebraska, but I got to Clark Canyon in more or less one piece a few weeks before kids would start showing up for camp. Now, the camp provided me with free room and board, but they couldn’t pay me any money. So, I did what any sensible man might do, in addition to my full-time responsibilities at camp, I got two other jobs. Once a week, I was employed by the state of Montana in a program that helped kids who had one or more parents in jail. And a few nights a week, I was a short-order cook at the greasy dive about a half hour from the camp (a half hour drive is practically next door in Montana, where the nearest Wal-Mart was six hours away). I was working in the restaurant the night that the carnival rolled into Dillon, but I heard all about it the next day. I had my guitar our and was fiddling with it while Dale and a fellow camp staffer told me about the rides, the rodeo, and the carnival workers. “We should make it a love song,” I said. So we took a few minutes and wrote the song, “She’s my Carny Girl,” an instant camp classic, with such lines as “She looks like a princess, but only from a distance / That’s why I try to keep her out of sight / The smell of her hair is like my underwear / After eating pork and beans all night.” You get the idea. Now, Dale had connections. Within a few weeks of writing the song, we were strolling into the local radio station to record it in one of their sound booths. We got a couple of tapes of the song for our own amusement, but the radio station kept one for themselves. And they played it every so often. Now, I don’t know if they still play it (that was a decade ago), but I like to believe that they do. I like to believe that if I ever go back there, I will see people who have copied the shirt that bears my face listening to the song that I co-wrote. Frugal Grooveshark Writes Like He’s Unshelved – or – Links! Today’s links are aimed to make your writing life a bit easier and a bit more fun. My buddy Bob wrote a guest post this week on Roger Colby’s blog about free tools for the frugal writer. He compiled a great list of resources, so rather than spoil the mystery and tell you what they were, here’s the link so you can find out for yourself. If you are like me, you like to write (or work, or live) with a bit of music in the background. This link is to a site that provides access to full albums and lots of artists as well as radio stations for your favorite music genre. If you like Pandora, you’ll love Grooveshark, which only asks that you see one ad for every three hours of music, unlike Pandora which puts in an ad every three songs. Are you fretting that you aren’t going to be the next Shakespeare? Maybe you are! If you haven’t tried out the online tool “I Write Like” yet, do it now. By the way, according to the site, this post so far says I’m the next Arthur Clarke. I could see that. Lastly, if you love books and humor, you will probably enjoy this web-comic. I stumbled across Unshelved a few years ago, and since working in a bookstore is a lot like working in a library, I found it hilarious. Just don’t spend so long looking at it that you neglect your writing! 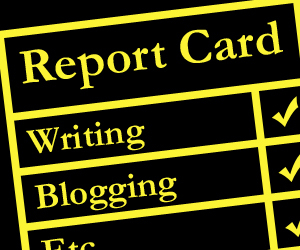 It’s been a little while since I did a report card for myself. So this week, I’m going to give myself a B. I might have done better, but I had to take my laptop in to get fixed, and when it got returned, the keyboard didn’t work. As it happens, the guy who fixed it just forgot to reattach the keyboard cable inside the laptop. Easy fix, but it did mean that I didn’t get to write much on the night I went out to write. I did, however, manage to post everyday on my blog. I even have a new contest going! It is easier than the last one too, so don’t be afraid to try it out. I am in love with the writing of Kurt Vonnegut. Let that be my disclaimer. I first read Slaughterhouse-Five for an Ethics & Literature class offered by the Lee Honors College at Western Michigan University. Having never heard of Vonnegut before, I had no idea what I was in for. My previous reading interests consisted of The Lord of the Rings and spy novels. Slaughterhouse-Five was my gateway drug to harder concepts like war, morality, pain, and patriotism. I once suggested Slaughterhouse-Five to a friend who had never read Vonnegut. He read it, but didn’t think as much of it as I. He told me that he found the book a bit hopeless, depressing. I couldn’t disagree with that. Vonnegut wrote from his experience as a World War II prisoner-of-war who lived through the fire-bombing of Dresden. He prefaces the book with a promise to a war buddy’s wife that he wouldn’t glorify the war. He lived up to that promise. If you haven’t read Slaughterhouse-Five, read it. I can’t promise that it will be an uplifting book, but it is excellently written and shows an author who put himself onto the pages, sometimes literally, in a way that will stick with you. Plus, it was included in Time magazine’s list of the 100 best English-language novels written since 1923, so I’m not alone in my convictions. I’m not going to bother with an in-depth synopsis of the book, because I fully expect each of you to read it for yourself, but if you need something to go on for the rest of this post, here’s the one-sentence version for you: We follow the out-of-order life of Billy Pilgrim, a WWII POW who lived through the fire-bombing of Dresden (sound familiar?) and was abducted by aliens who taught him the true nature of time, free will, and acceptance; an anti-war novel. Billy couldn’t read Tralfamadorian, of course, but he could at least see how the books were laid out–in brief clumps of symbols separated by stars. Billy commented that the clumps might be telegrams. Vonnegut wrote in the style of the Tralfamadorians, a device that he invented and integrated in order that we might receive something beautiful when seen altogether. There is no real suspense, as he tells you in the first chapter exactly how the book is going to end. It’s certainly a different approach to novel. 2. Author-Driven Narrative | Usually, books fall into one of two categories as far as what is driving the narrative: plot or character. Vonnegut, I would argue, does neither. In plot-driven narratives, the action of the story is what draws the reader in and keeps them reading. In character-driven narratives, the plot comes second to the development of the characters, creating realistic, fleshed-out characters that readers love. Most novels try to balance these two things. Slaughterhouse-Five breaks up the plot into non-chronological order, and we get to the know the characters over the course of the novel, but the reason we keep turning the page is because the author has laid out the book in a very specific way. We follow the author’s lead more than the plot or the character. Billy looked inside the latrine. The wailing was coming from in there. The place was crammed with Americans who had taken their pants down. The welcome feast had made them as sick as volcanoes. The buckets were full or had been kicked over. An American near Billy wailed that he had excreted everything but his brains. Moments later he said, “There they go, there they go.” He meant his brains. The first chapter opens with a discussion between Vonnegut and a buddy from the war. The last chapter shows them both returning to Dresden in real life. While I wouldn’t recommend this device for every novel, it is one of my favorite things about Vonnegut’s books. His platform, his authority comes from his experience. He just can’t stay out of his own books. Either he inserts himself by name, or he uses his alter-ego, Kilgore Trout. In Slaughterhouse, he does both. 4. Symbolism | Slaughterhouse-Five is rich with symbolism, but rather than point out every symbol, I’ll just talk about one. Vonnegut could have named his character anything, but he chose the last name of Pilgrim. Pilgrims are travelers. Billy happens to be a traveler through time. But the symbolism goes deeper. Back in the days when people only owned two books, they had a Bible and a copy of John Bunyon’s A Pilgrim’s Progress. Pilgrim’s Progress shows a man on the road to salvation who undergoes trial and hardship in order to get to the Celestial city. It is one of the earliest forms of allegory to describe the Christian life and the path to Heaven. Vonnegut’s name choice puts his own Pilgrim in direct contrast to Bunyon’s, as Billy Pilgrim undergoes trial and hardship and is rewarded, not with Heaven, but with nothingness. There are protests from the crowd. There are police around him as he leaves the stage. They are there to protect him from the crush of popularity. No threats on his life have been made since 1945. The police offer to stay with him. They are floridly willing to stand in a circle around him all night, with their zap guns drawn. “No, no,” says Billy serenely. “It is time for you to go home to your wives and children, and it is time for me to be dead for a little while–and then live again.” At that moment, Billy’s high forehead is in the cross-hairs of a high-powered laser gun. It is aimed at him from the darkened press box. In the next moment, Billy Pilgrim is dead. So it goes. So Billy experiences death for a while. It is simply violet light and a hum. There isn’t anybody else there. Not even Billy Pilgrim is there. 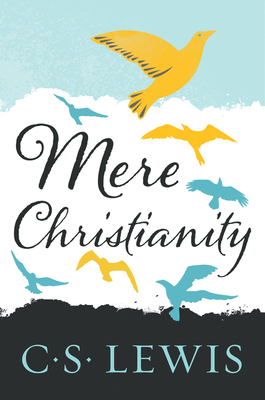 Vonnegut’s worldview appears through his symbolic name choice, drawing contrast and refuting the Christian faith in favor of Humanism. So it goes. Using symbolism is an effective tool to portray complex thoughts or to allow a deeper interpretation of your work. If you haven’t read it yet, read the book with symbolism in mind and see what you come up with. If you have read it, read it again. And as always, thanks for reading my blog.